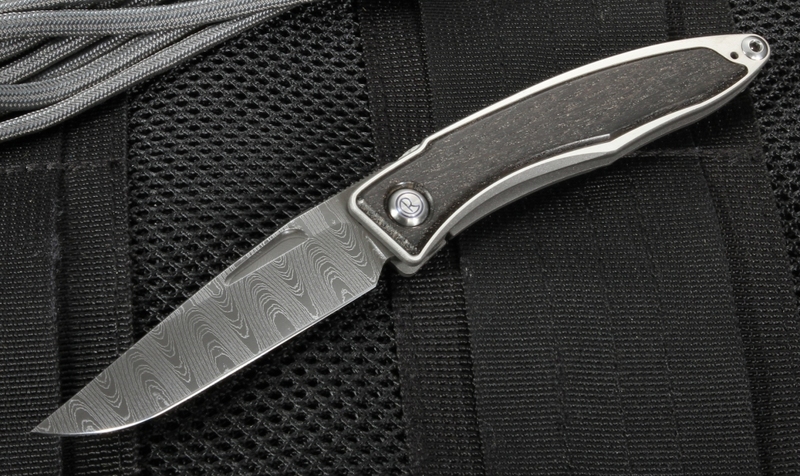 The Chris Reeve Mnandi Bog Oak with Damascus Steel blade is a classic, upscale folder pocket knife for the gentleman at work. 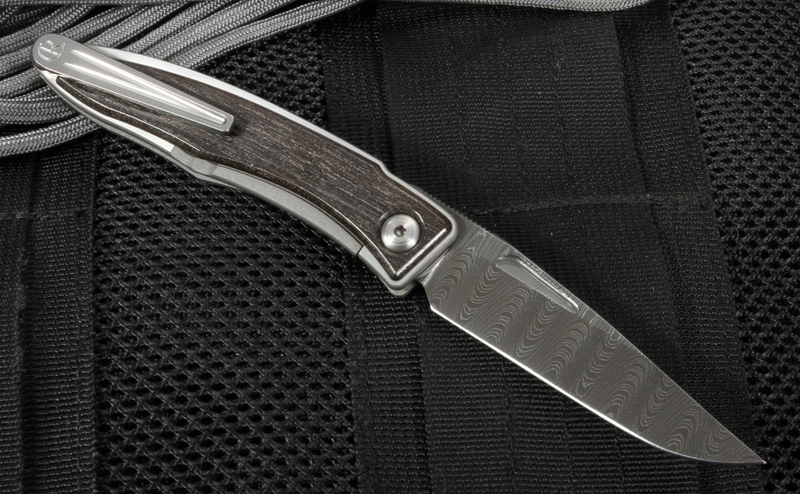 An elegant American-made pocket knife measuring a little over 6 inches total and weighing only 1.5 ounces, it is the definition of its Zulu name meaning "very nice." The 2.75-inch blade with a 0.09 blade thickness is made with Devin Thomas stainless damascus steel in the beautiful ladder pattern, with a drop point profile for all-purpose cutting and slicing with precision. The filed thumb rest on the spine of the blade also increases comfort when holding this folder. 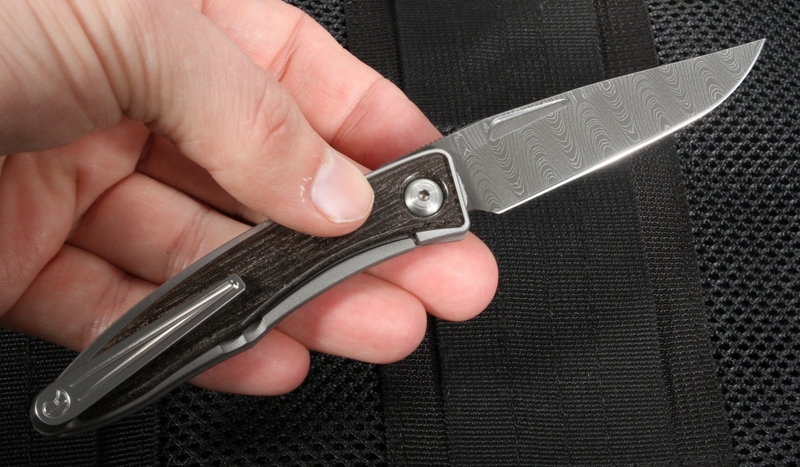 Overall, the blade's small size but strength make it a useful, elegant small carry option. The handle's elegant inlay is made from bog oak wood, giving the knife added natural beauty when paired with the damascus blade. Lightweight and measuring just 0.135 inches in handle thickness, this pocket knife is easy to carry. 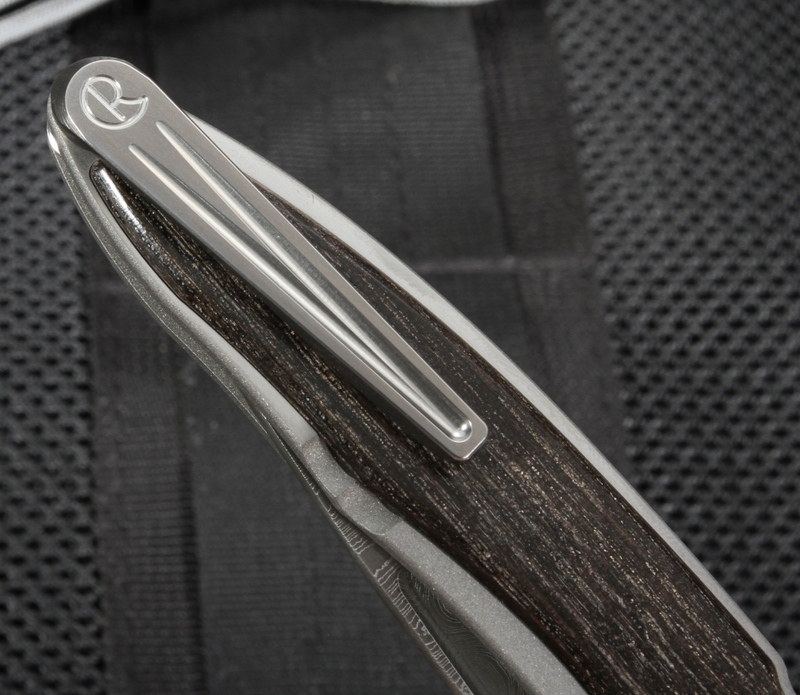 The handle also features a pocket clip made with 6Al4V titanium for tip up carry, in addition to a small lanyard hole for attaching and lanyard. The overall lightweight titanium construction of the knife for the liner lock system adds strength, durability, and security when the blade is deployed or stored. As an authorized dealer in Chris Reeve knives, you're guaranteed a quality and authentic product through KnifeArt. With same-business-day shipping (and free on orders over $150), every product is curated to be best in the breed and meet all your specs. This was my first Damascus and I was truly amazed at the quality of this blade. Sharp as all get-out , even sharper than my ebony Mnandi and Sebenzas. Deployment is smooth as glass and the lockup is very secure. 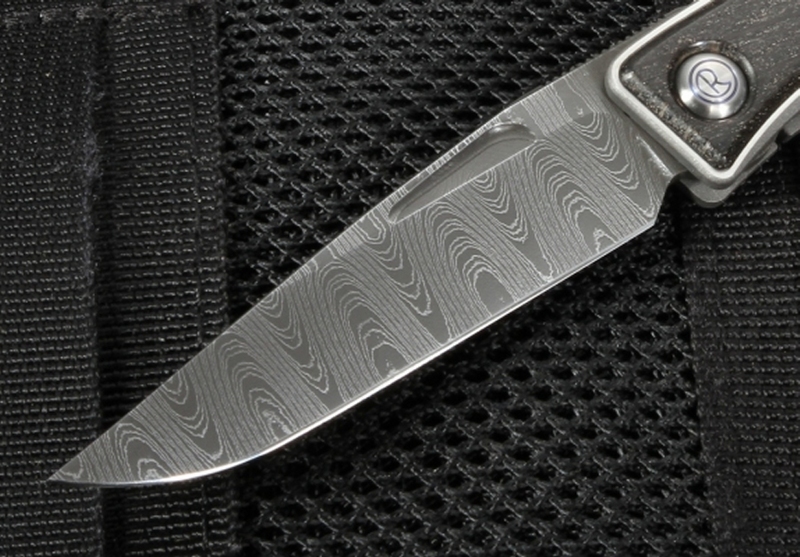 The tight, regular Damascus pattern is really beautiful and the slight texture feels really nice. I don't expect to be buying a lot of Damascus--OK, maybe just one more--but this is really a unique and useful knife. I've carried it four days out of seven, and I have every confidence it will do whatever I need it to do. It's a really great and unique gentleman's folder. You can't go wrong.